When we encounter news these days about relations between China and Japan, it is often along fairly depressing lines. It is easy to forget therefore that on a profound cultural and literary level, the relationship between the two nations has been a warmly appreciative one. 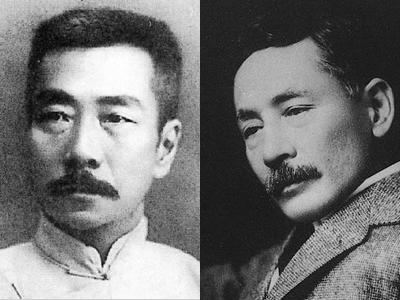 Nowhere is this more obviously on display than the connection between the two giants of modern Chinese and Japanese literature – Lu Xun and Natsume Soseki, both of whom occupy iconic positions in their nation’s literatures. Lu Xun is best known for his savage satires on the plight of his native China in the early twentieth century – beset with a feudal mindset, internal divisions and left open to exploitation by warlords and foreign colonial powers. Natsume Soseki meanwhile had revolutionized Japanese literature with his satirical masterpiece I am a Cat, which had cast a quizzical, feline eye over Japan’s own rapidly modernizing and westernizing nation state. What is not commonly understood, however, is how closely these two major literary figures of China and Japan are connected. In this talk, author and critic Damian Flanagan will take you on a thrilling world journey from Baker Street in London to the plains of Manchuria, from a university classroom in Sendai, northern Japan to the streets of Beijing, as we uncover how these two great minds set about revolutionizing world literature. Damian Flanagan is a writer and literary critic. He has written several books on Japanese literature, including three books on Natsume Soseki and a biography of Yukio Mishima in both Japanese and English. He also writes articles on culture, literature, property and travel for newspapers around the world, from The Irish Times to Australia’s Sun Herald. He is a regular book reviewer for The Japan Times, holds a PhD in Japanese Literature from Kobe University, Japan, and has won the Japan-US Friendship Commission Prize for the translation of Japanese Literature. This talk is co-sponsored by China Crossroads.